Che Bella! 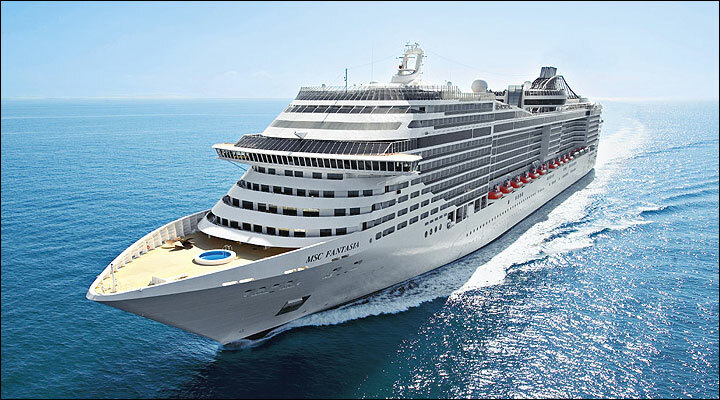 How beautiful is MSC's newest ship, MSC Fantasia. She brings your dream of sailing in true European elegance and style, to life. Greater in length than the height of the Eiffel Tower, MSC Fantasia offers countless vacation pleasures, such as the Aurea Spa wellbeing center with thermal cave for relaxation and rejuvenation. For the kids, our children's play area includes a swimming pool with waterslide. And our Acqua Park features 150 illuminated musical fountains. A magnificent theater seats 1,700 with unique live entertainment each night, or catch a movie at the interactive 4-D cinema. You can also test your skills at our Formula 1 simulators or surf the net in a Wi-Fi zone. For dinner, choose from six main restaurants including El Sombrero Tex Mex with an open kitchen, a lovely French restaurant and a panoramic restaurant serving Italian regional specialties. 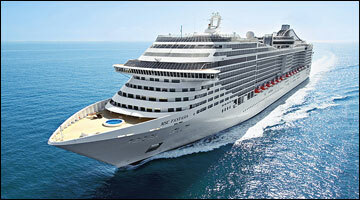 The MSC Fantasia is the largest cruise ship ever built for a European ship owner. 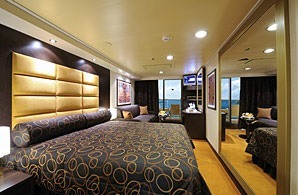 She has 1,637 staterooms, 80% oceanview, many with private balconies. 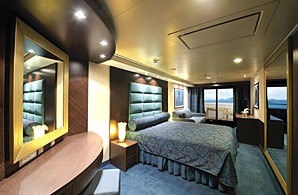 What's more, our state of the art cruise ship features an eco-friendly design to safeguard the environment without sacrificing the comfort of our guests. 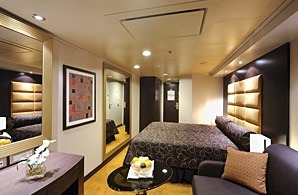 Onboard you will discover a first in our fleet --- the MSC Yacht Club --- offering a privileged maritime experience with rich gleaming wood, Italian marble and illuminated Swarovski crystal stairs. Our exclusive enclave includes a library, wimming pool and private lounge where a transparent ceiling allows guests to gaze at the starlit sky. 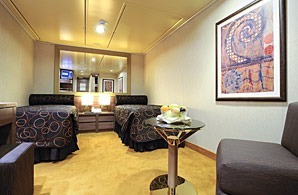 The Yacht Club's 99 spacious VIP suites offer comfortable luxury complete with butler service and concierge. Enjoy high tea served by your butler and sip a drink by the skydome pool or in the Yacht Club's exclusive Observation Lounge with "captain's views."